I'm technically on vacation (even though I'm holed up in the lovely Palm Desert Public Library writing this Zine until I can check into my latest hotel on my road trip). 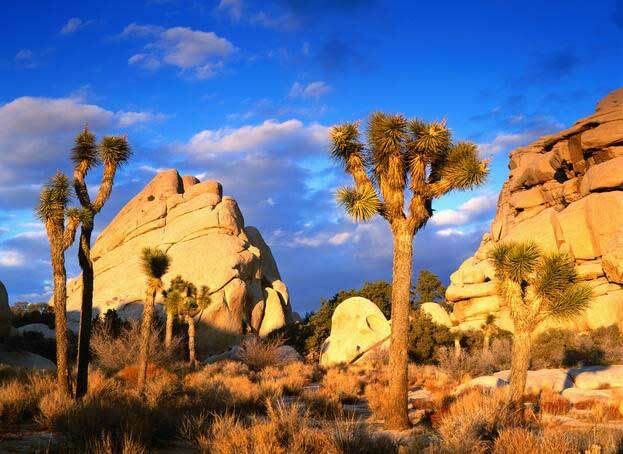 I just spent a week in the California Desert of the Mojave Preserve ... right near the spectacular Joshua Tree National Park. It's the middle of August, so it is HOT, HOT, HOT (although the locals say its actually a cool year). Kinda makes me think of the old adage about mad dogs and Englishmen, but in this case it's a Canadian woman! I'm in the desert for lots of reasons ... needed a vacation, wanted to get away, love road trips, feeling a little Jack Kerouac, etc. But primarily I'm here because of a conference called 'Contact in the Desert' that I wanted to attend. And, I did for the last 4 days, more on that in the article that follows ... it was TRULY WONDERFUL. 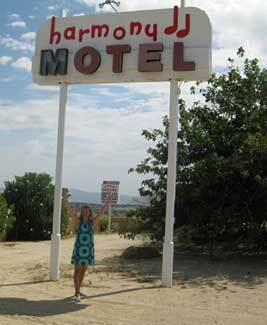 While attending the conference I stayed 20 miles down the highway in Twenty Nine Palms at The Harmony Motel. Three things attracted me to this hotel. First, the name (figured Harmony was right up my alley). Secondly, I read the bio about the owner, Ash Maharaj, who was once a change management consultant in South Africa but 10 years ago dramatically changed her life by buying this gem in the desert (if that isn't a SHIFT-IT story I don't know what is!). 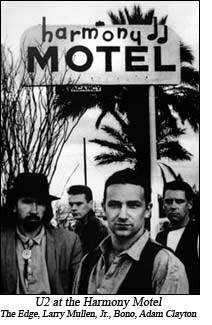 And third, U2, my favorite band from my 'formative years' stayed here and took a ton of photos for their Joshua Tree album back in the 80s. OMG!!! (that was my Inner Teenager having a freak out, hehe). I've got a few more days until I return home. This weekend I'll be working with Sarah Moyle on the Whiteboard Video project (a little ditty to help me quickly explain who I am and what the breadth of my work is). Then it's back to JJ and hopefully some good Victoria, British Columbia weather (took a risk leaving home when we are in our own best weather season). "Delighted I said "Yes!" to Fundamentals Interactive-Visuals. It exceeded my expectations. 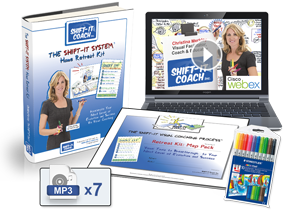 This online course was a whole lot of fun and nicely paced with the workbook and videos. My favorite bedtime reading for a quite a few nights plus my magic marker collection is getting a workout. 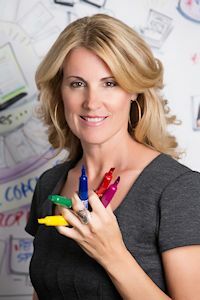 Christina's masterful teaching made it a comfortable deep dive into the he(art) of working visually with groups and individuals. 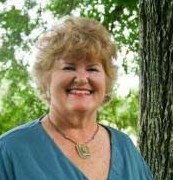 Now I'm confidently integrating the skills she taught into my practice including creating my own visual templates. Clients love their maps and light up in their visual sessions. Highly recommend!" Public dates don't work for you? Or, not a group person? And/or prefer customized sessions tailored just for you and your situation? 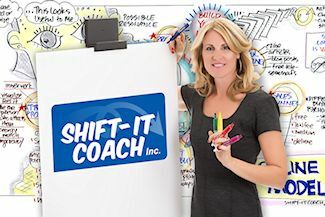 Private Training (visual skills) and Private Coaching (advanced visual skills, business coaching, life coaching, energy alignment) either in-person in beautiful Victoria, British Columbia, Canada or via distance sessions by web conference and online scribing. *Next Step: Exploratory Chat with Christina to discuss your needs and possible dates, write [email protected] to request. Contact in the Desert is a conference dedicated to the wide-ranging fields connected to what is popularly known as UFOs. 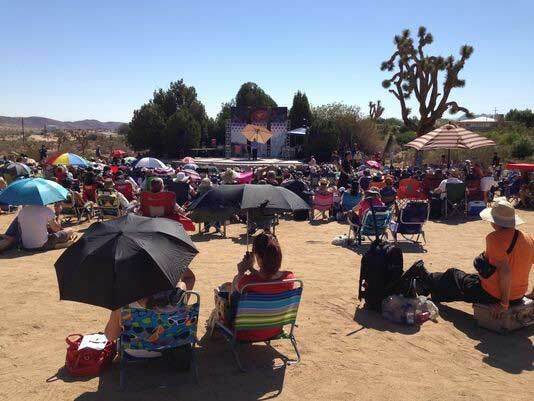 It was held (for the 2nd time) in Joshua Tree, California, U.S.A on August 8-11, 2014. And I attended, along with 2000 others from around the world. Why? Well, for a lot of reasons ... not the least being the"UAP" I experienced a few years ago (Unidentified Aerial Phenomena) ... which I'll share about later in this article. The conference was held at the sprawling 400-acre Joshua Tree Retreat Center designed by Frank Lloyd Wright. I heard from folks who stayed onsite that Lloyd Wright's work looks cool, but unfortunately doesn't feel that way (turns out he wasn't great with temperature). While it was a trek down the highway I'm really glad I stayed at the super funky Harmony Motel (see my "Note from Christina" post about the connection to U2). The temperatures were HOT (a treat for this Canadian) so I got some sun making my way from one speaker venue to another … thankfully most were housed indoors with the exception of some early morning and later evening events held in the sandy outdoor amphitheatre.